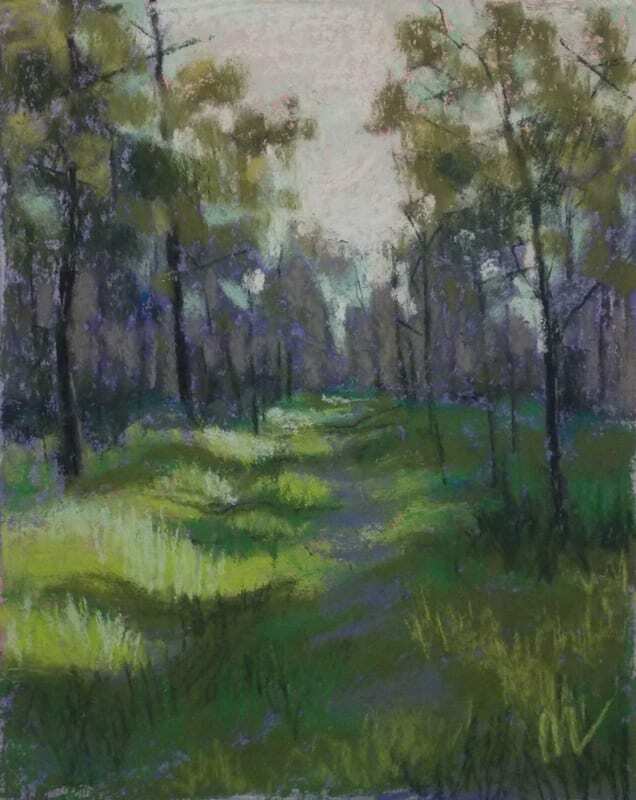 Julington Durbin Preserve, Sunlit Path, 10×8″ pastel on gessoed mat board by Marie Marfia. 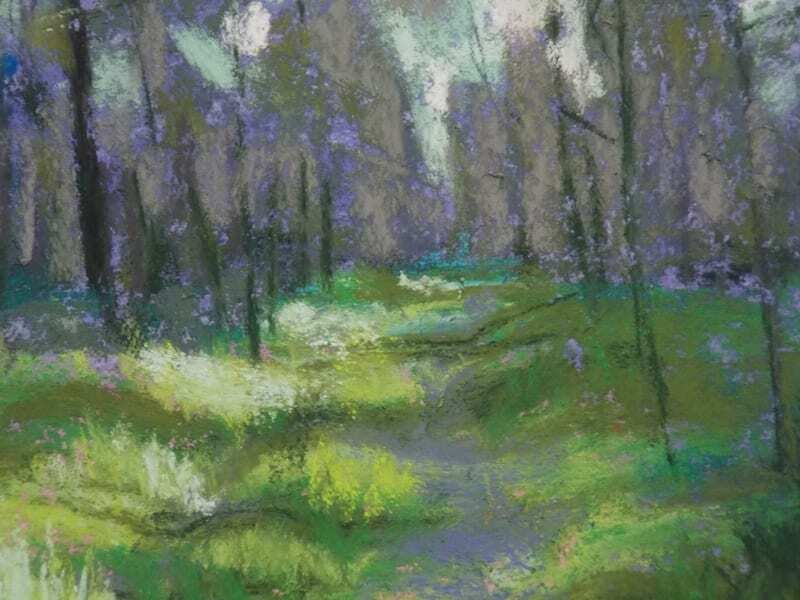 Julington Durbin Preserve, Sunlit Path, detail, 10×8″ pastel on gessoed mat board by Marie Marfia. 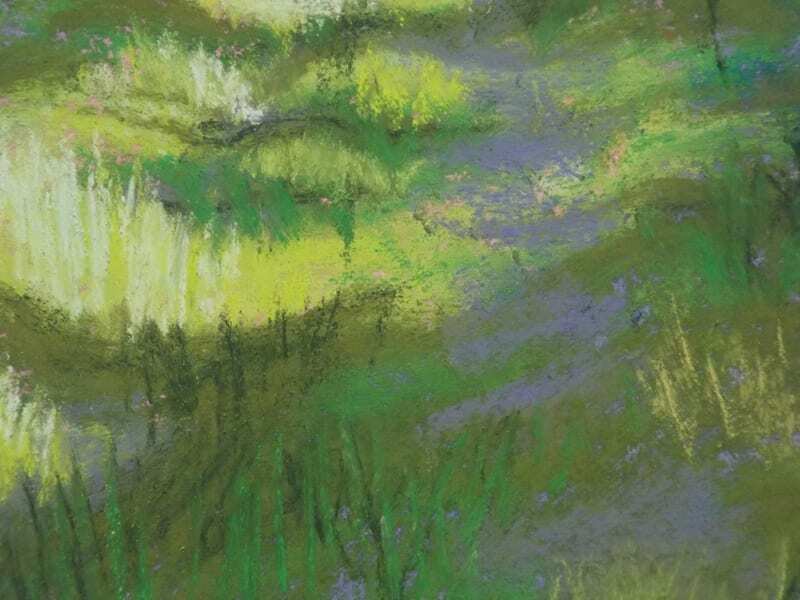 Julington Durbin Preserve, Sunlit Path, detail, 10×8″ pastel on gessoed mat board by Marie Marfia. $70. After the last month or two of preparing for the show at The Red Sable and then the Artist Reception/Day of the Dead bash, I’m all skellied out. It’s temporary, I know, but there are times when I need to do something other than draw skeletons. Today’s post is a landscape from one of my favorite places in Florida, the Julington Durbin Preserve. This patch of woods is just a couple of miles from my house and I like to walk along the trails out there. It’s usually very quiet and I am surrounded by the wonderful smells and sights and sounds of the forest. It renews my creative spirit. I am spending the rest of this week painting the preserve. 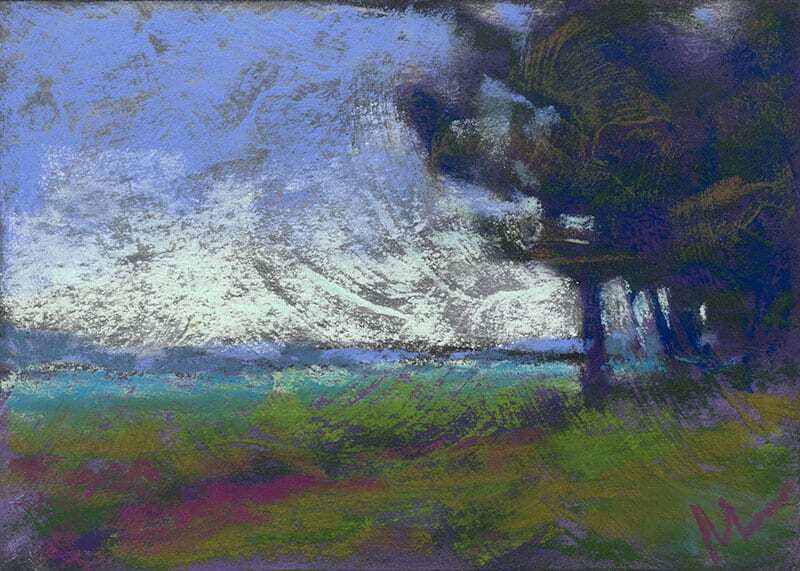 This Friday, Saturday and Sunday I’m attending a workshop with Tom Christopher, a pastelist whose work I just love. This landscapes will be my warm up for the workshop. Never fear, though, I am still working on skelly things in the meantime. At least, I’m thinking about skelly things, because I’m hooked on them, I admit. What do you think about Botticelli’s Birth of Venus as my next Old (Dead) Masters piece? Can’t you just see the flying skeletons? I sure can. Julington Durbin Preserve, Sunlit Path has been sold. Have you signed up for my weekly newsletter Bone Appetit? It’s a compilation of the best of my blog plus insights into my creative process and it’s delivered right to your inbox every week! Just fill in your email address on the right. Bonus, you’ll receive a free wallpaper just for signing up! See to it! 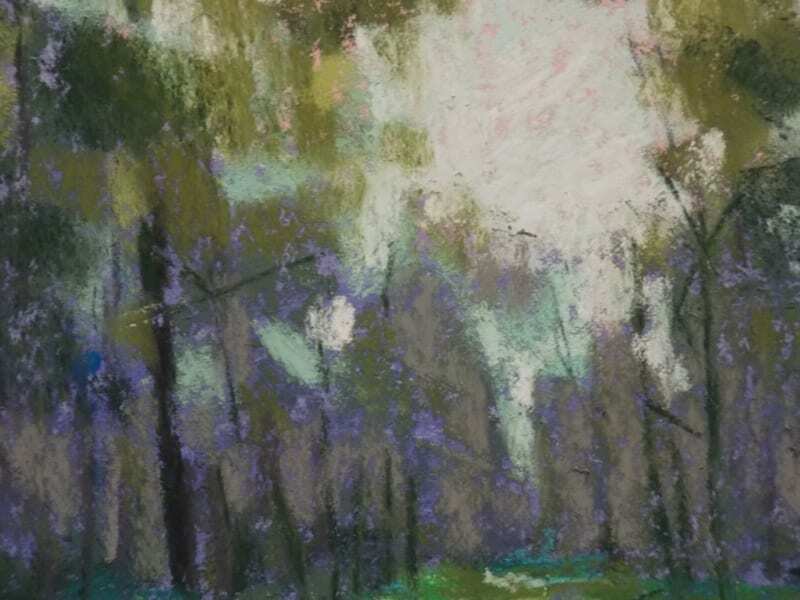 This entry was posted in A pastel a day, Landscape, Pastels, Woods scape and tagged Julington Durbin Preserve, landscape, painting, pastel, woods on November 3, 2015 by Marie Marfia.